Intense Self-Inflating Air Mat With Carry Bag - Polyester Outer, Polyurethane Filling, Lightweight - Dimensions 72”x 22” | BUDK.com - Knives & Swords At The Lowest Prices! Just because you’re “roughing it” doesn’t mean you have to sacrifice a good night’s sleep. 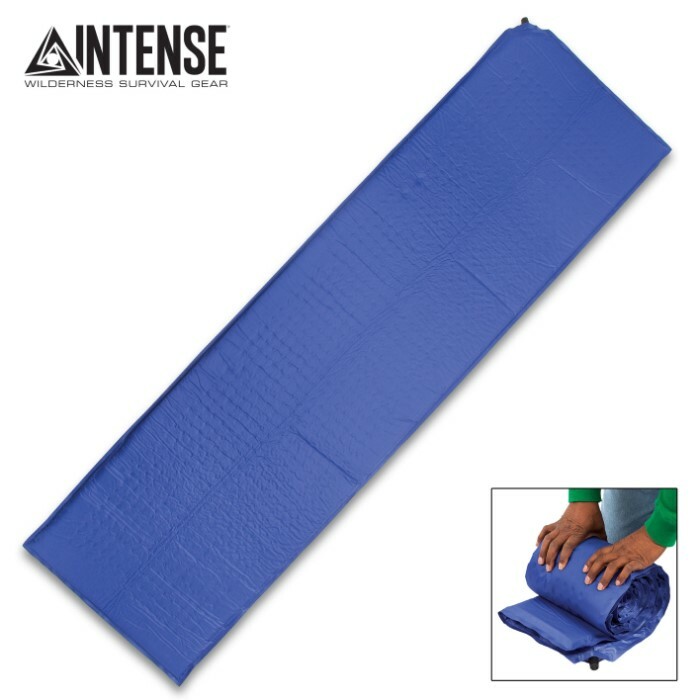 Our Intense Self-Inflating Air Mat assures you that you have a soft spot to lay down when it’s time for bed at the campground or out on the trail. 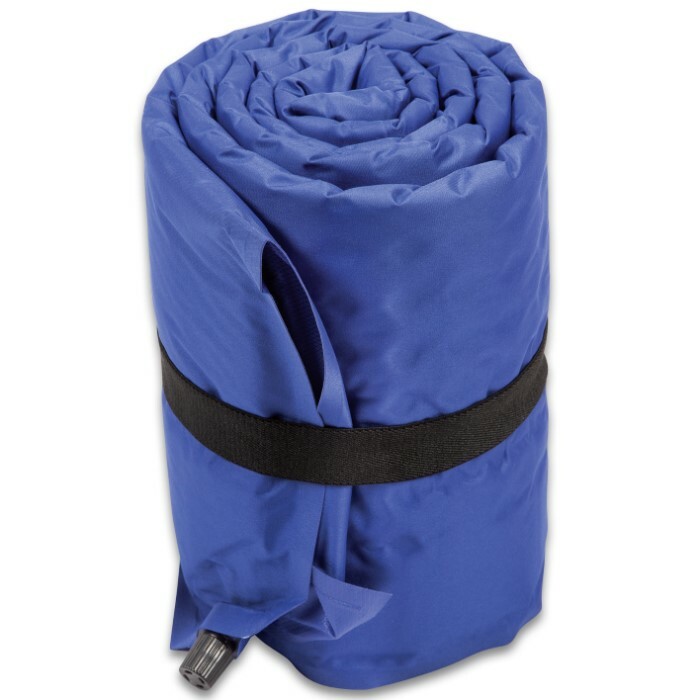 The lightweight and portable mat is made of 70 percent polyester with a 30 percent polyurethane filling, giving it a soft polyester top and heat saving insulation that will keep you comfortable and warm for the night. 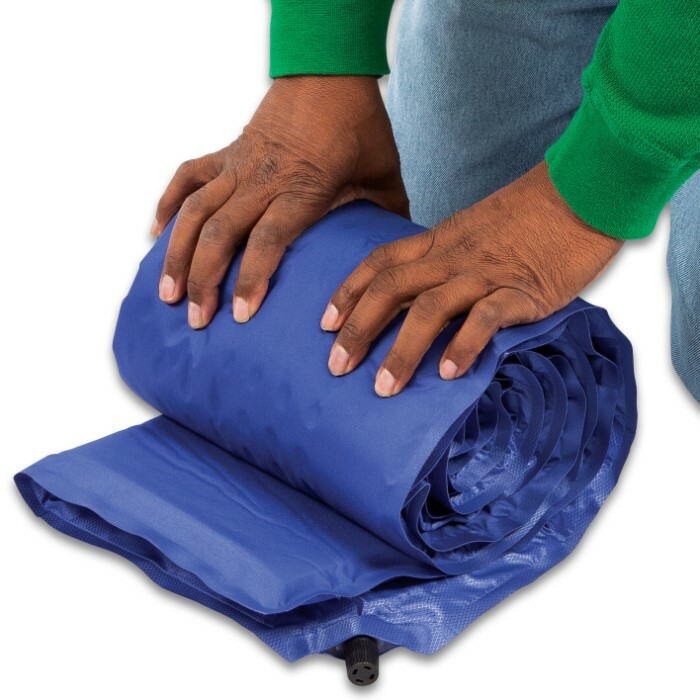 In just minutes, this self-inflating mat is ready for use with next to zero effort. 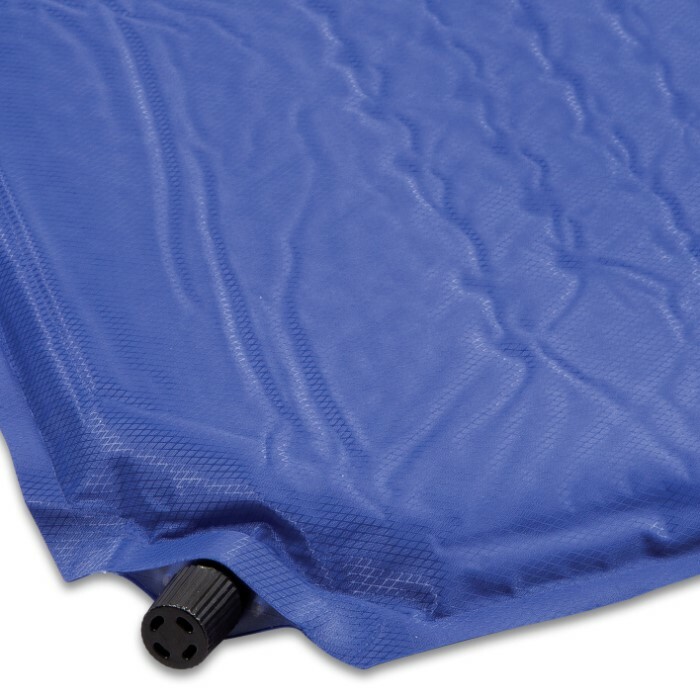 Simply open the twist valve and watch the mat fill itself up to 72”x 22” in minutes. Then, push and twist the valve to set any level of inflation you prefer. 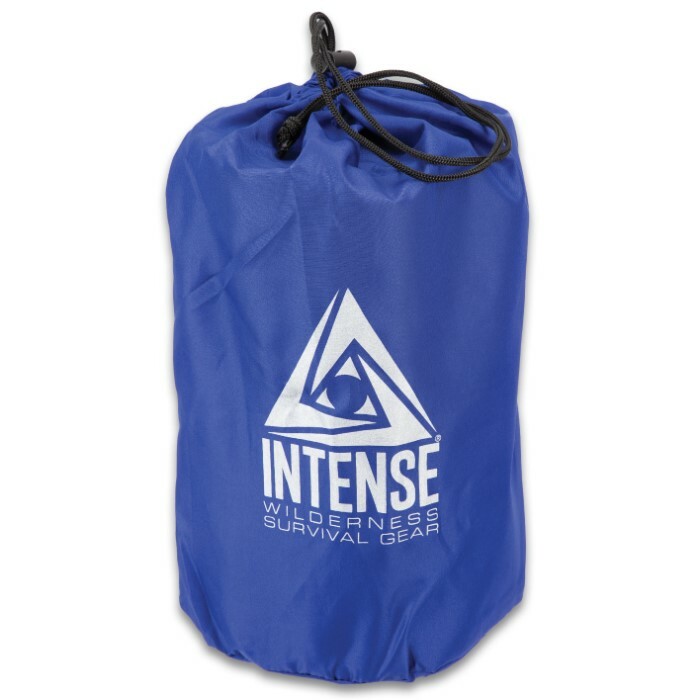 Weighing in at a little over two pounds, you can fold it up when it’s deflated and stick it in your pack and not even know it’s there until bedtime.